Every June the school gets ready to observe one of the most important event of the year – Charity Week. In its 4th year, the school was able to reach out to over 2000 underprivileged people and help them by providing basic necessities. With the zeal to reach out to impoverished children; orphanages, schools and learning centres catering to such children are identified and provided with stationaries such as note books, pens, pencils,scales and colouring materials. Charity Week brings the whole school together. It’s a time when every member of the school the students, teachers and management contribute whatever they can towards lifting up someone else. 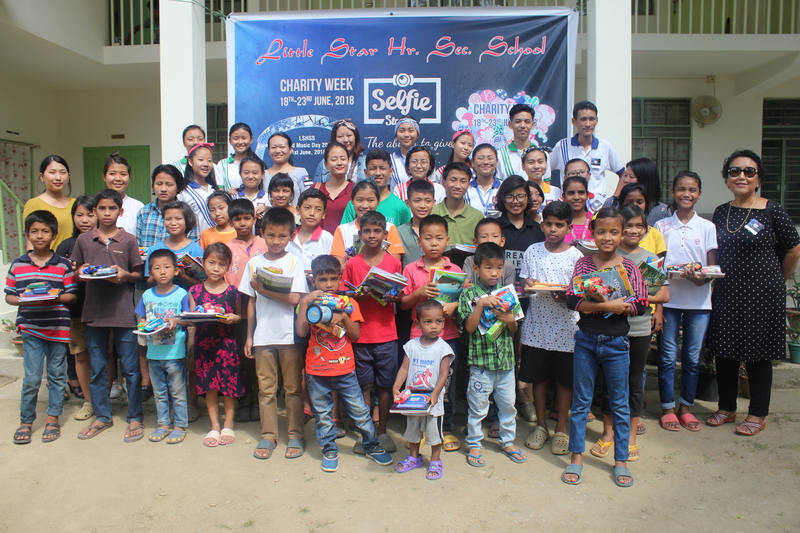 Awareness activities are held in the school with the whole school mural, selfie station, performances during lunch break and assembly presentations. Student volunteers play an active part right from collecting the materials, sorting it to distributing it. Students also visit sites with teacher guides to earmark locations where the distributions can happen and to identify the needs of the people there. Student volunteers have commented that they never knew people lived in such poverty without toilets or a proper roof above their head. Visits to schools serving impoverished children made them realised that these children do not even have a note copy to write on. These experiences make them realise how fortunate they are and kindles in a desire to help the needy especially the children. 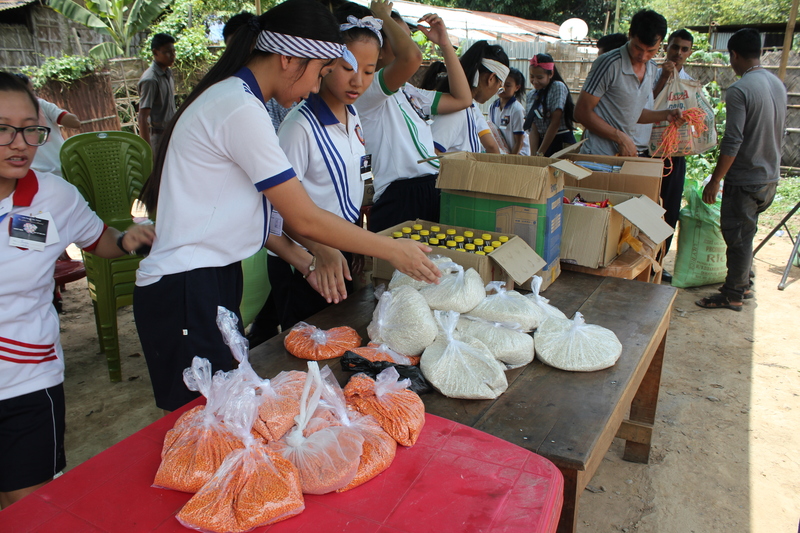 Thungyibeni Ovung of Class 12 was one of the volunteers during the distribution at the Neighbourhood Children’s Home. She said that she was blessed to see the welcoming faces of the little children who had a smile glued to theirs faces. It was a memorable experience for her. Another volunteer Nitesh of Class 11 (Sc.) commented that during his visit to Rio Colony at Sewak, he was shocked to learn that most of the children there did not know the alphabets or numbers properly despite being school going students. In 2015, during the first charity week, the school distributed at SM colony and Paira Colony.Several items were handed over to a ministry called Christ for the Downtrodden and they distributed the materials to the homeless. In 2016, the distribution took place at St. Christopher School, Chessore, Tuensang, Zeliangrong village and Paira Colony. Stationaries were send to an orphanage in Shillong, God’s Dream Home. In 2017, materials were given out at GMS, Model Village, 5th Mile and Paira Colony, God’s Dream Home, Shillong. 2018 so far is the most successful charity in terms of the donations and also the number of sites we were able to visit. The charity week distributions started with distribution at Rio colony followed by Kuda Mill Colony and an orphanage called Neighbourhood Children’s Home. The last site is going to be Ebenezer Orphanage Home on Saturday, 30th June.